I sincerely appreciate respondents to an article I have written for The E-Sylum. Rather than bristle at such criticism I learn a different viewpoint to one of my statements. One of the features of The E-Sylum is that it encourages such dialogue. 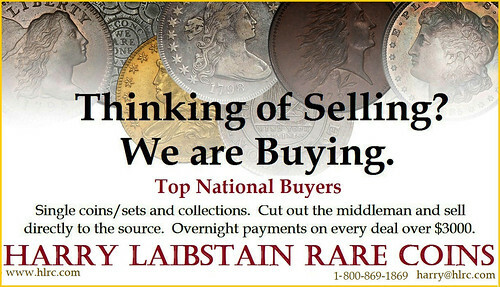 We advance numismatic knowledge by exposure to the best thinking in the field and who better than E-Sylum readers for an active exchange of ideas and facts. Thus I would like to give a shout-out “Thank You” to all my critics, including the most recent: John Lupia, Ken Spindler, Arthur Shippee, John Phipps, and dozens and dozens of others. In the case of my Encyclopedia of Coin and Medal Technology entries -- run as Vocabulary Words in The E-Sylum – I often change the content based on what some critic has stated. Before I printed the draft of that Encyclopedia I submitted sections of the text to fellow members of the Rittenhouse Society for a peer review. I rewrote hundreds of entries from their suggestions. The intent of all is full accuracy of technical data. Numismatic writers and catalogers should develop their own style and stick with whatever term they feel helps them and their audience understand what they wish to mean when describing a dot. Here's why I disagree with that statement: If each writer or cataloger used a different term from others we have a numismatic Tower of Bable. Far better to have a form or definition accepted by all, the standard everyone will use and understand. With this invitation in mind, please comment on something I have written.